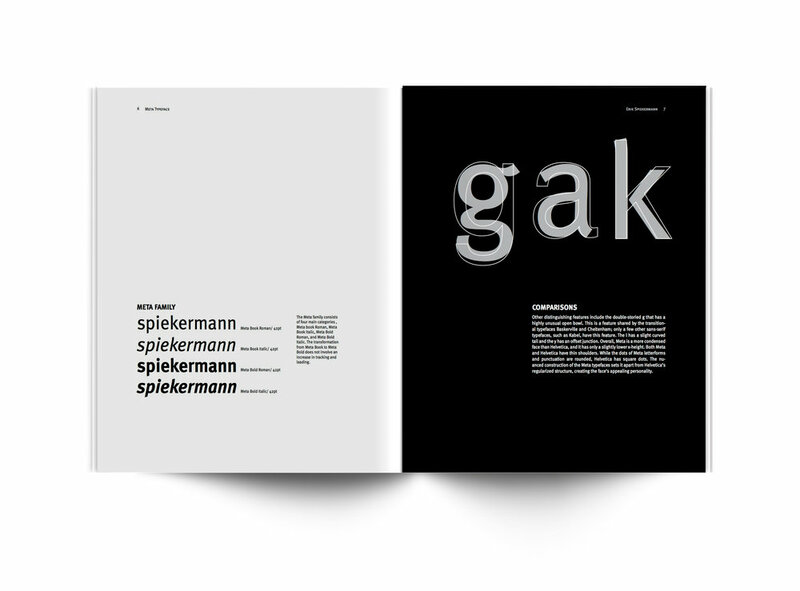 A typeface book is designed for the typeface "Meta." The content covers the history of the typeface, the designer, the characteristics of the typeface and comparison with other selected typefaces. I selected a few most representative letters from the Meta family to use as key visual elements of this book.